In ‘Parenting Preschoolers and Young Children‘ you will find practical advice on how to deal with the very real difficulties of caring for young children. As well as offering helpful tips on how to stimulate a child intellectually in terms of improved concentration and language development, it also offers sound advice on handling behavioural problems like temper tantrums and co-operation issues. 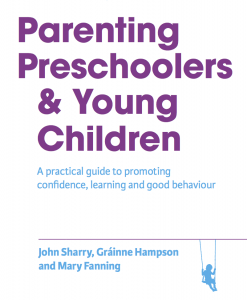 Emphasising an approach to parenthood that praises rather than chides ‘Parenting Preschoolers and Young Children‘ is an accessible and indispensable guide for those dealing with young children. ‘Light of touch, inviting to the (surely busy and distracted) readers, and decorated with amusing cartoons that add ideas… A good gift for young parents facing the challenge of those vital years’.